Protecting your engine from dust, snow and water ingestion is essential for keeping your 4WD on the tracks and not the side lines. 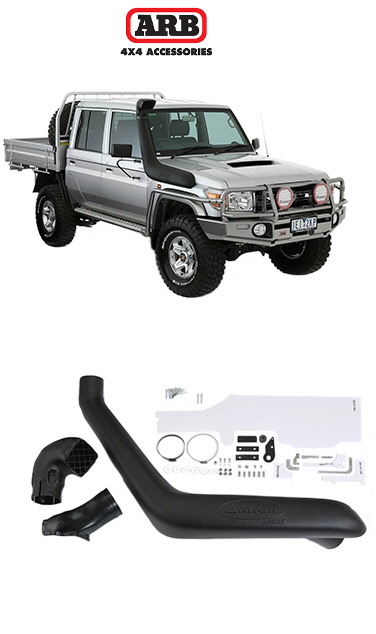 A Safari snorkel will ensure that clean, dry air is always available, regardless of the conditions. Manufactured in Australia from premium quality polyethylene, Safari snorkels are UV stable and incredibly resilient to withstand the harsh Australian environment. All systems are individually designed to suit most popular 4WD models and undergo thorough research and testing prior to being tooled for production. 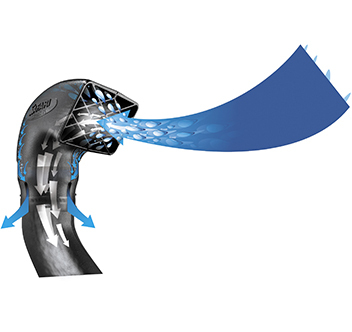 The Safari Charge Air Ram incorporates a highly effective, inbuilt water separator system that removes rainwater from the incoming air stream. The Safari Charge Air Ram can also be rotated to face away from any prevailing conditions. This is just an example of what we can offer you, for more information please enquire below. We strive to deliver a level of service that exceeds the expectations of our customers. If you have any questions about our products or services, please do not hesitate to contact us. We have friendly, knowledgeable representatives available six days a week to assist you. Copyright © 2018 Outback 4WD. All rights reserved.